Are you tired of someone else having control of your employment and financial future? If so, you are not alone! Record numbers of previously employed workers have decided to turn their "pink slip" into their ticket to entrepreneurship. During the current recession, the Kauffman Index of Entrepreneurial Activityfound that self-employment business start-ups have risen to the highest rate in 14 years. The study found that 35-44 year olds had the highest level of entrepreneurship growth, but older Americans (55-64) also were one of the groups experiencing "the greatest increases in business-creation rates from 2008 to 2009." A 2010 CareerBuilder survey found that 26% of laid-off workers "are considering starting their own business instead of finding a new job." But it's not just the unemployed who are starting new businesses. Small businesses are becoming a common source of secondary income for those already receiving a paycheck. CareerBuilder found that "of workers who have started a small business in the last year, 96 percent reported that they run a small business in addition to another job." 1. Take a look at yourself before looking at business options. There are many options for self-employment. To find the right one, start by looking at yourself. What skills, interests and personality traits do you want to utilize in your new business? What type of structure will fit you best? Some people, for example, are wired to start and create the structure for a brand-new business; others flourish best within the structure of a franchise. While some people only want a one-person operation, others dream of one day heading a company that employs others. The better you know yourself, the more likely you will be able to choose wisely. Self-employment is hard work, especially at the beginning when you will be wearing all of the hats: Sales & Marketing Director, Accountant, Customer Service Representative, and of course, the Provider of the product or service you are selling. If you don't really like the business you're in, you will quickly burn out. 2. Do your homework on business options. There are many books and other resources on entrepreneurship options. Paul and Sarah Edwards, for example, have written many books on home-based businesses. Entrepreneur Magazine provides annual information on the top 500 franchises. Keep looking until you find something that really interests you and fits your design. 3. Leverage your former job experience in your new business. Many people transition into self-employment by doing something directly related to their former job. Companies that can no longer afford full-time employees often hire consultants, or contract workers. 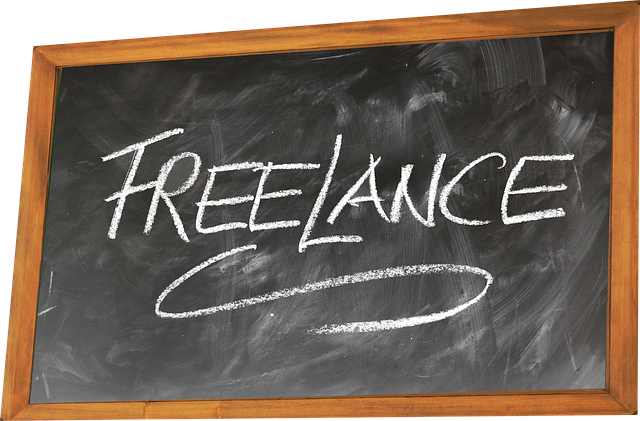 Check out sites like Sologig.com and ifreelance.com that provide contract and freelance opportunities to help you get started. 4. Create a "portfolio career." Instead of working at one job, a person with a portfolio career works multiple part-time jobs that can include part-time employment, self-employment, temporary jobs and freelance gigs. An example of a portfolio career would be a graphic artist who works part-time doing web design for a mid-sized company, has some small businesses as clients for periodic projects, and teaches two graphic arts classes at the community college each semester. Portfolio careers provide variety, flexibility, and freedom, but typically require self-marketing skills and being comfortable with some level of unpredictability in work flow and income. 5. Turn your hobby into a business. There are many different hobbies that can translate into a successful home-based business, such as making hand-crafted items, baking/cooking, providing services like computer set-up/repair or home repair, buying and selling collectibles, etc. Check out sites such as StartUpNation.com for ideas and considerations in moving from hobbyist to entrepreneur. As career counselors, we have had countless clients tell us that getting laid off was the best thing that ever happened to them. Why? Because on their own, they wouldn't have had the courage to quit their job, but losing the job freed them to find something that was a much better fit. Take the first step today to create a new future for your life and career. If you would like professional assistance with seeing how self-employment might fit you, we invite you to look into our career coaching services. After reading about our services, you can schedule a free consultation session to discuss which career services would best meet your needs. We would consider it a privilege to help you discover who God has created you to be and what He has designed you to do!